It looks like spring has finally arrived here in snowy Northern Michigan, and I could not be happier! It seems like every blogger that I follow has done this tag and I loved reading their answers. The beautiful Hannah from Floraful tagged me in her post the other day so I was ready to jump right on the bandwagon! I just bought a lovely periwinkle called Sugar Fix from Sally Hansen that I like. You also can't go wrong with a mint green or a pale pink! Must have lip color this spring? MAC's Hot Gossip is always a favorite of mine when the weather warms up. I don't really wear dresses often. It is very hard to find a dress that suits me, that I can wear a bra with, that doesn't make me look pregnant, and so on. I really like this one above from TJ Maxx so hopefully I can wear it at some point! Also, please forgive my horrible clothing photography. I am not a fashion blogger for a reason! I love sunflowers, trumpet honeysuckle, and lilies. 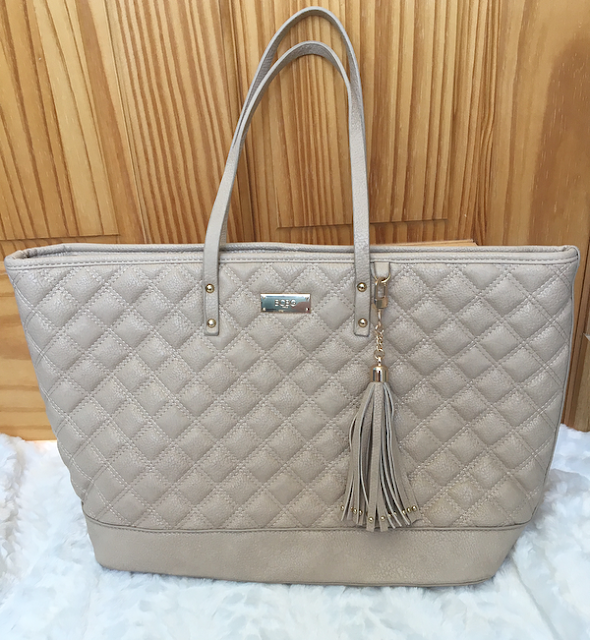 Maybe this quilted beige BCBG tote? 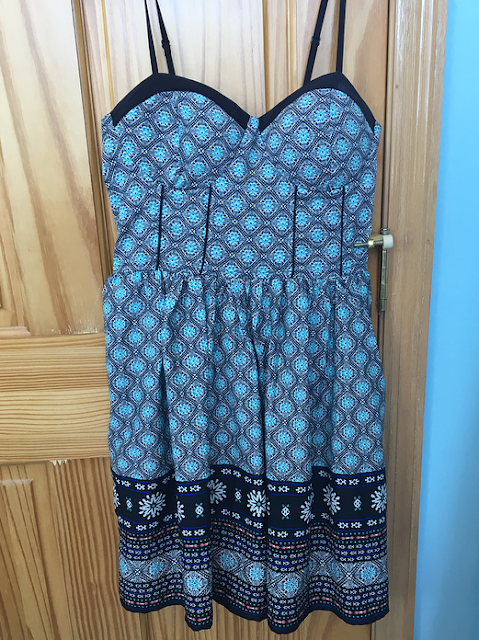 I bought it in the fall but it seems more suited for warm weather. What spring trends are you most excited for this year (fashion and makeup)? Glossy lips! Please, my lips can't take any more liquid lipsticks. Sweet Pea and Pomegranate. Yum. Favorite body spray or perfume for spring? Jimmy Choo Blossom! It's the perfect amount of sweet, floral, and fruity for me. Here in Northern Michigan (basically Canada) we've had about four almost-springs, where the piles of snow start to melt only to be built up again by yet another snowstorm. It's looking promising at the moment so hopefully the cold is gone for another year! Other than very random weather, there are a lot of puddles and mud from the melting snow, and lots of green from evergreen trees that never lost their needles and new plants starting to grow. Absolutely not. I don't clean at any times of the year. My spring break has already passed and I didn't go anywhere. My travel plans are mostly for the summer. My sister is going to graduate school about three hours away so I'll probably travel to visit her often! I completely lost track of who has/has not done this tag so to refrain from embarrassing myself I won't tag anyone specifically! But as always, if you want to do the I Heart Spring tag, go for it and consider yourself tagged! 16 comments on "I Heart Spring Tag"
What a cute tag! I might just do it! I'm also not a big dress-wearer, and I'm kinda digging the glossy lip trend! So over liquid lips. Glad you did this, and sorry to hear about all of the snow! That purse is really cute, definitely my style too! I'm getting tired of how drying liquid lipsticks are, but then I just started eyeing one of the Tarte dry paint matte liquid lipsticks in "bling"...love the color, but not so much the formula. Loved this post! I'm so done with liquid lipsticks too, can't wait to get out the lip gloss again! That bag is gorgeous by the way! I love reading tag post, I think I might just do this one myself. 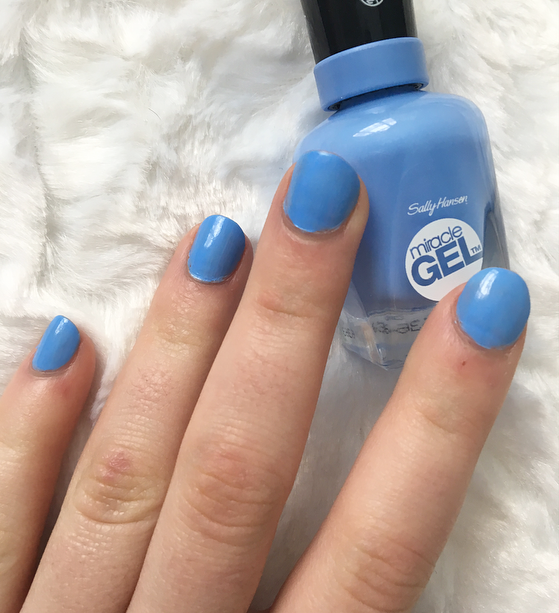 I have been loving light blue nail polish this spring. 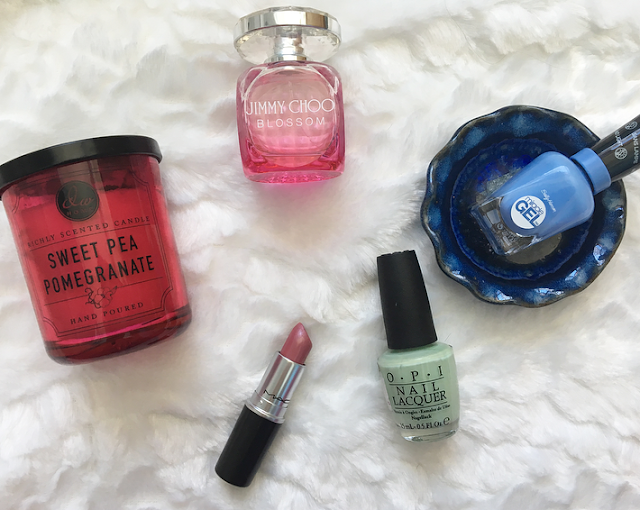 Love that blue nail shade! How cute it this nail polish, great color for spring, loved the dress too. this tag is really fun ! Everything is so pretty especially the dress and the bag. I love tags! Hopefully I'll have the time (and room on my blog) to fit this in. Major props to you for trying!